Our chiropractic back pain clinic Toronto specializes in treatment of injuries caused by automobile accidents and work or sports-related injuries. 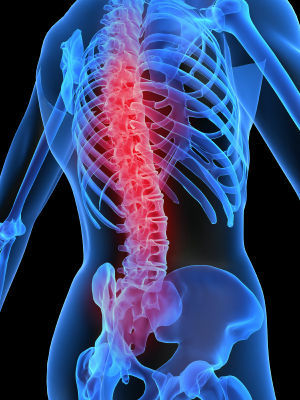 We offer a variety of tools for chronic pain management for relief of upper back, lower back and neck pain along with chiropractic care such as RMT – Registered Massage Therapy, cold laser therapy, digital posture analysis, vibration platforms, therapeutic exercise routines and nutritional advice. When you are ill or injured, you need a chronic pain clinic in Toronto to provide quality care and guide you through the healing process. You can rely on the chiropractic doctor, Dr. Kris Dorken and staff at Core Wellness Centre to provide high quality, compassionate care to bring you back on the path to well-being. We also include online billing and direct billing and facilitate your claims for you. Core Wellness Centre is a low back pain clinic that offers comprehensive care and overall wellness program. Now it is easier that you can receive full attention here in our Back Pain Clinic Toronto, where you can have in house x-rays taken and see a certified doctor of chiropractic, licensed massage therapists and more. 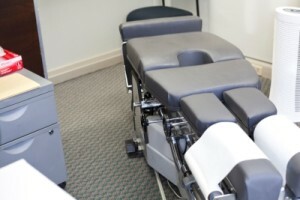 We work together to design a total treatment program that fits your needs. Our Office accepts most forms of insurance, including automobile insurance and worker’s compensation. Many of our patients are coping with accidental injuries. Back pain Pain in lower back (lumbar) Pain in upper back (thoracic) Chiropractic Care for Pregnancy Back Pain Degenerative disc disease Herniated discs Manual therapy Massage therapy / therapeutic massage Pain in neck (cervical) Osteoporosis Physiotherapy and pain management Sciatica therapy Scoliosis Sprains and strains Slip and fall injury treatment Therapeutic exercise Vibration platforms Our back pain clinic Toronto to relieve chronic pain adopts the most advanced technology to give you the best results and comprehensive treatment. Don’t delay! Call us on (416) 479 – 8311 or fill in the form below.